Chronicle Books and Raincoast Publishers have sent me Llamanoes and Pass the Parcel, just in time for March Break, as part of the #PlayTestShare group. I’m going to give you a sneak peak at them plus give you a chance to win a game from a curated list. Keep reading to find out how. My grandmother has never kept a lot of games at her house, even when we were young. The one that has remained, however, is an old orange box of wooden dominoes. Chances are, they are a collector’s item of some sort now. For us grandkids, however, they represented a lot of hours of play. Chronicle Books has combined the world’s current fascination with llamas and the classic game to bring you Llamanoes. You’ll notice that these pieces are a laminated, high-gloss cardboard, rather than the much louder wooden ones we played with. This also means that other surfaces (including unsuspecting foreheads) are much safer from potential damage. This holiday season, the interwebs were awash with tons of people unwrapping massive plastic wrap balls to reveal the prizes hidden inside. Sort of like a grown up version of musical chairs. Skip filling your recycling bin with all that plastic and opt for Pass the Parcel. Are you ready to play? Of course you are. Check out the reviews from my fellow #PlayTestShare bloggers across Canada. Then use those descriptions to tell me which one of these great games you would like to win. Enter using the Rafflecopter form below. Open to residents of Canada only. Contest closes March 12, 2018 11:59 pm ET. Not responsible for lost or misdirected entries. Odds of winning will depend on the number of eligible entries received. Good luck everybody! 33 Responses to "Llamanoes and Other Games #Giveaway"
That In the Ocean: My Nature Sticker Activity Book looks pretty wonderful. I think kiddo would love the sticker book the best! I would like the Crocodile and Friends Animal Memory Game. I'd like to get Crocodile and Friends Animal Memory Game. I'd like to try Alpha Shapes. I'd love to win n the Ocean: My Nature Sticker Activity Book because the drawings look so cool + stickers!!!! I think my son would love pass the parcel. 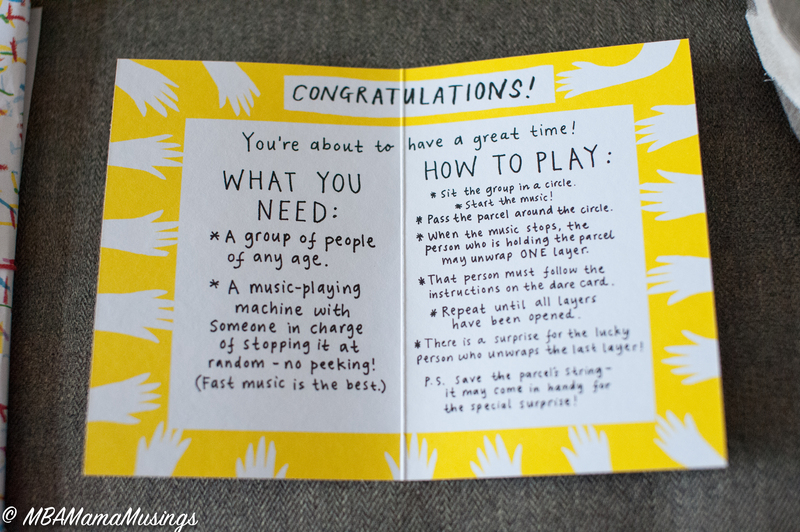 We played it once at a birthday party and it was so much fun! I love the Llaminoes, and would love to win them, they just look like so much fun. I would love the Draw Like an Artist: Pop Art book, it looks like something my daughter and I would enjoy doing together! I like After Dinner Amusements: Which Would You Choose? We would actually love the llama dominoes , so funny . So many more great selections but so much fun this one . Would love the Llamanoes game! Llaminoes for sure would be our pick!! After Dinner Amusements: Which Would You Choose? - my son would love this one! I would choose In the Ocean: My Nature Sticker Activity Book. In the Ocean: My Nature Sticker Activity Book would be fun, but I think I like Llamanoes the best. i like the...After Dinner Amusements: Which Would You Choose? ...game. sounds like fun! I like Bob The Artist: Dominoes. They are so neat. My grandchildren enjoy memory and matching games so I think they would like Crocodile and Friends Animal Memory Game. Pass the Parcel would be a great game for my kids to enjoy! I would like to win the Pass the Parcel: A Party Game for our family to enjoy. I love games that make everyone laugh, so our family would really enjoy After Dinner Amusements: Which Would You Choose? Sounds like a lot of fun! I would choose After Dinner Amusements: Which Would You Choose? - I think it would get some great conversations going on our family road trips, camping trips etc. I would love to win Llaminoes!